RetroZone USB Intellivision RetroKit | Welcome to the Intellivision Revolution! All the parts to upgrade your own Intellivision controller. You can even build real Intellivision ports onto your computer. Kit includes board, USB cable, and requires soldering. 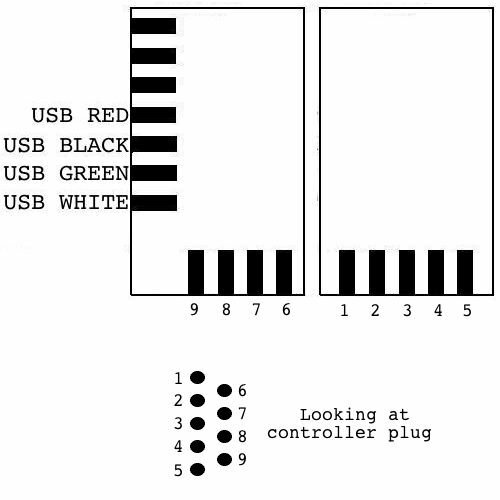 Authenticity of original controllers with the simpilicity of USB. Use with any emulator or game that supports USB. Use on WinXP, Win2K, MacOS9, MacOSX, and more! Intellivision RetroBox is a small inline adapter that plugs into your USB socket and into your controller. Works with removable controllers from Intellivision systems such as the Intellivision 2. Intellivision RetroKit contains all the parts to upgrade your own Intellivision controller. You can even build real Intellivision ports onto your computer. Kit includes board and USB cable and requires soldering.